Spotted On throtl - 2JZ-GTE - NO S#%^!!! But seriously, we chose to feature this engine below, well, because we love the 2JZ. Some call it the V8 slayer but, we call it AWESOME and versatile! 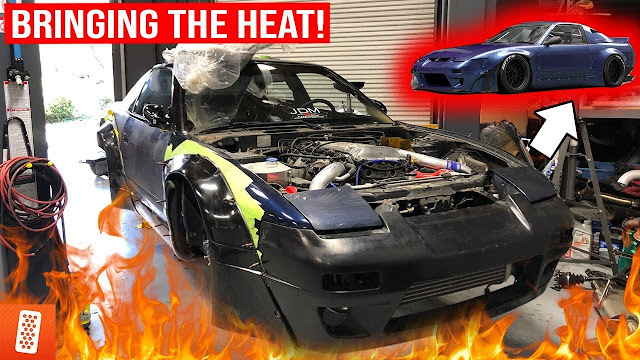 These days most enthusiasts looking for a reliable rear wheel drive swap choose either the reliable GM LS platform V8 or this Japanese twin turbo beast. 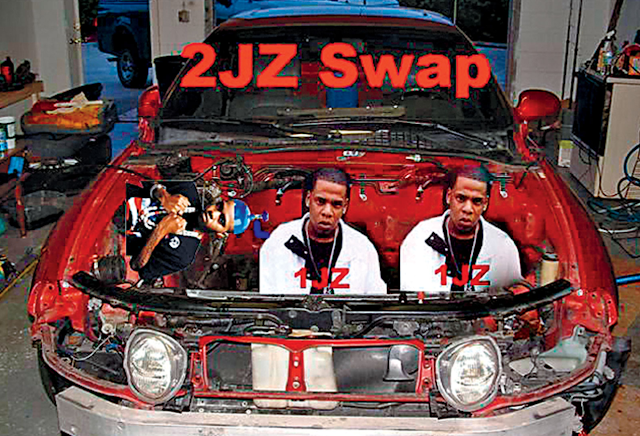 For our money, and aural pleasure, we choose the 2JZ. You simply cannot argue with the ability to produce 900hp on stock internals and the wonderful sounds it makes. We spotted Throtl user @ColoradoHowe52 listing this ultra spiffy cast iron inline 6 boosted beauty complete with auto trans listed at a bargain and ready to be swapped into the chassis of your choice. DM the user @ColoradoHowe52 at throtl.com for more details. Above you can see a similar 2JZ-GTE engine, likely sourced from a Japanese Domestic Market Toyota Supra or Aristo, being installed into a Scion FR-S. BEAST!